Before they are buried, Jurij and Sergeij are honored at Freedom Square - or “Majdan” as it is called. 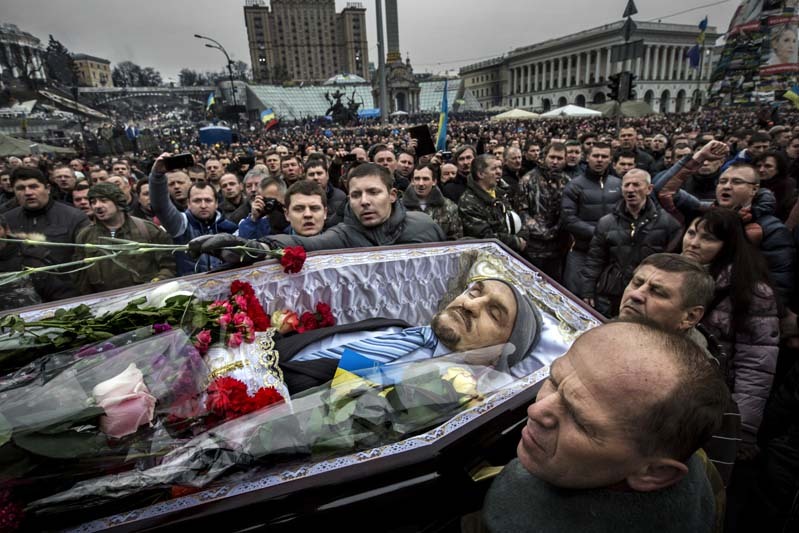 They are two of the latest victims during the ouster of president Yanukovych. But the unrest develops into a war in the east and south. Crimea is occupied by Russia in February and the hostilities in Donbass claim victims almost every day.